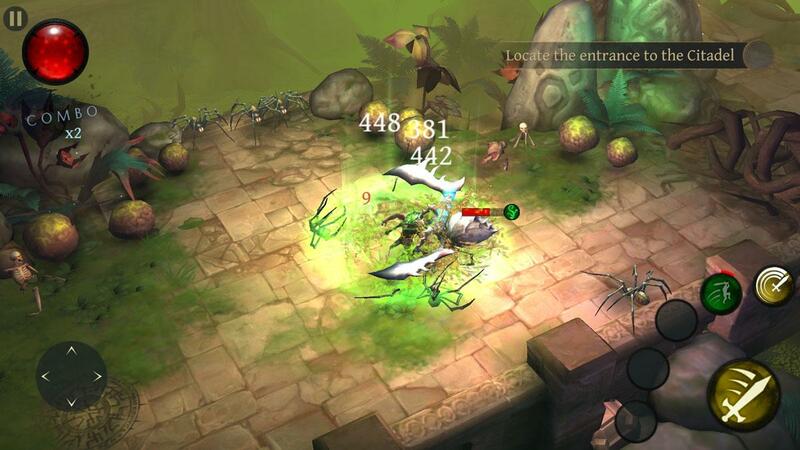 Hack and slash through opponents in this addicting action RPG that you can enjoy on the go. Utilize various kinds of equipment, each with its own unique bonus effects. Unlock a variety of skills as you progress through the game, each capable of having a massive impact. 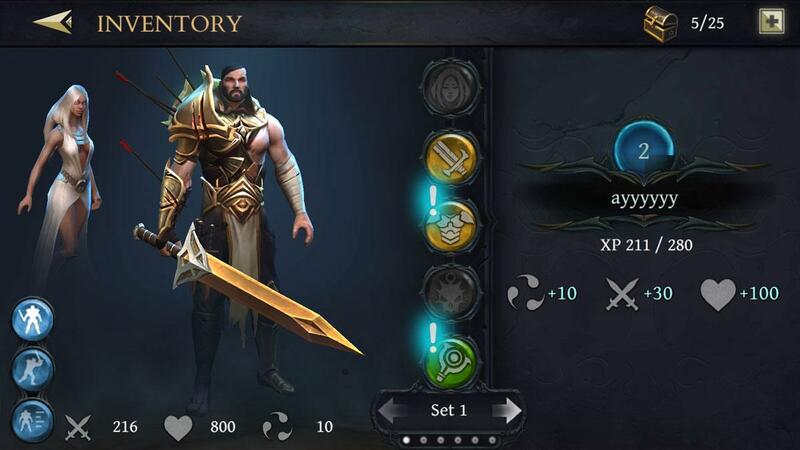 Bladebound is a phenomenal mobile based action RPG that allows players to enjoy the full-fledged RPG experience in the comfort of their mobile device. Action RPGs for mobile devices have been common for a while now but, as far as quality and execution are concerned, Bladebound seems to be leaps and bounds ahead of the rest and this is why it’s recommended that you give it a shot. Learning Bladebound can be a bit of a challenge since there are multiple different kinds of gameplay mechanics that players need to get the hang of before they can start playing proficiently. Thankfully, though, the game starts off with a series of tutorial levels that do an excellent job of teaching players the basics of the game. The tutorial levels won’t make you an expert at the game but they’ll teach you all the necessary things that you need to know in order to play properly. Onto the gameplay, Bladebound is highly exhilarating and, all things considered, it’s the kind of game that you can get completely lost in for hours upon hours because of how immersive it is. The core combat mechanics are quite enjoyable since they’re all highly fast-paced and all characters have access to an array of abilities that they can use to wreck their foes. The best thing about the abilities is the fact that players can chain them together seamlessly in order to deal insane amounts of damage to their opponents. One crucial thing that you’ll need to remember is the fact that the weapons and equipment in the game come in various different types and the type of equipment you use will actually have an impact on your abilities so it’s recommended that you always use equipment types that are strong against the monsters that you’re going to face. 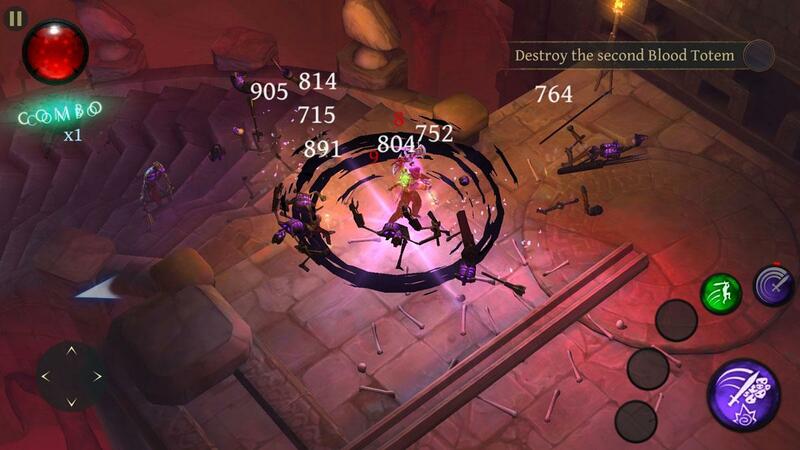 Bladebound pairs its exceptional combat system with an insane amount of gameplay features in order to ensure that players remain interested and hooked on the game. There’s a pretty well thought out campaign that’s been designed for players who want a laidback single player experience but, if you want your gameplay sessions to be more intense, you can participate in fast-paced PvP matches against players from around the world. In terms of visuals, Bladebound blows all the other mobile based action RPGs away. The game’s textures are packed with an incredible amount of detail, the colors are bright and vibrant, the special effects are breathtaking and, all things considered, the game is filled to the brim with incredible sights to see. Bladebound is free to download and play but it has micro-transactions through which players can get their hands on various kinds of in-game bonuses in exchange for real world money. All said and done, Bladebound is an incredible mobile based action RPG that’s leaps and bounds ahead of its competition.